Two people were pepper-sprayed and robbed in separate attacks early Wednesday in Boystown. Police believe the same group of four people is responsible for both crimes, which unfolded in less than 45 minutes along the Halsted Street bar strip. Around 1:30 a.m., police were flagged down by a robbery victim at Belmont and Halsted. 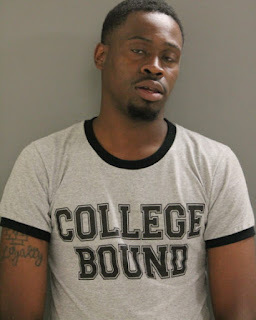 The 31-year-old Lakeview man was walking on the 3400 block of N. Halsted when a group of three men and a woman approached and sprayed him with mace and struck him to the ground, police said. While the victim was on the ground, the offenders took property including a cell phone and the victim's wallet, the department’s News Affairs office said. A 24-year-old man found near Halsted and Newport was later identified as taking part in the victim’s battery, according to police. Cliffton Balentine of the Englewood neighborhood was charged with one misdemeanor count of battery. He is due in court today at Belmont and Western. No one else is in custody. The offenders were described as three black men and a black woman with slender builds, all about 20-years-old. About 45 minutes before the 31-year-old was robbed, a passer-by found a man writhing in pain in a bush at Halsted and Aldine. The man told police that he had been pepper-sprayed and robbed by at least one person, but he could offer few details. Police said the victim refused to file a report because he had grown agitated and just wanted to get home. Yet another local robbery will not be making the police crime stats. Two women reported being robbed at the BP gas station, 1200 West Belmont, around 5 a.m. on Monday morning. The victims told police that four tall black men emerged from a newer-model black sedan and mugged them. But, once again, the women did not want to “waste time” filling out a police report, so they called for an Uber and went home.